Proposals may refer to one or more finished and already debuted works. Works must be original. Subject, contents and themes of the proposals are free. Proposals will be considered only if regarding Live Arts field (theatre, dance, performance, and their cross-disciplinary declinations). All professional artists can apply, with no distinction among nationality, language or age. Amateur groups are excluded. Artist will be invited to a residency to re-qualify their work, for five days. The work will be then open to the audience during the following five days. 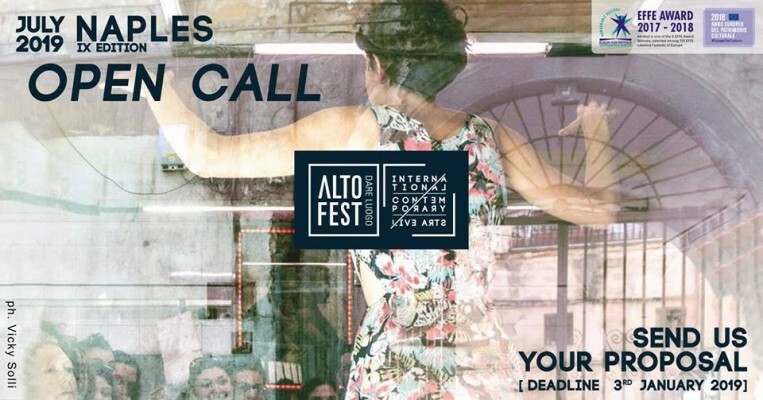 The presence of the artist is required for the entire period of Altofest, for ten days. Altofest ensures accommodation, subsistence, and a lump sum, follow the terms and conditions written in the regulation document, that you find beside the form online.